KATHMANDU, Feb 16: The government has increased the upper limit of cash incentive to five percent of the total export value on certain goods and products. 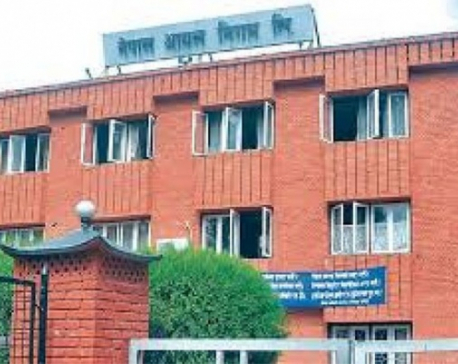 According to a circular to the commercial banks to implement the new ‘Working Procedure on Export Subsidy, 2019’ issued by Nepal Rastra Bank (NRB) on Monday, exporters of certain goods and products will be able to claim the newly increased cash incentive on their exports. According to the new policy, export of fifteen various products will fetch five percent cash incentive on the total exported value, while 11 products will be offered three percent cash incentive on their exports. Not only the government has decided to increase the cash incentive on the exports of the goods produced in the country, it has also made cash incentive eligible for products exported to India on Indian rupees by opening letter of credit in a bank. Earlier, only goods shipped to third countries earning foreign currency could claim the government’s cash incentive. However, there should be at least 50 percent of value addition within the country for the exportable products to be entitled for five percent cash incentive, while such value addition requirement has been set at 30 percent for three percent cash incentive. However, one percentage point in addition to three percent will be provided if the product has 40 percent of value addition in the country, apart from being featured in the government’s list for collective trademark, according to the new working procedure. The 15 products entitled for five percent cash incentive include, among others: processed tea, coffee, handicraft and woodcraft, leather products, processed ginger, processed honey, hand-made paper, and mineral water. Likewise, exporters will be entitled to get three percent cash incentives on the exports of 11 products, including: readymade garment, carpet and woollen goods, pharmaceuticals and jewelry ornaments. Earlier, the government used to provide two percent cash incentive on exports of 9 products while exporters of 22 other products used to get one percent cash incentive. The government revised the list of products for cash incentive taking into consideration the Nepal Trade Integration Strategy (NTIS), 2016. The list includes most of the products which have high comparative advantage and are listed in the NTIS 2016. The scheme to provide incentive in cash was first introduced by the government through the budget for Fiscal Year 2010/11. The government has been providing cash incentive on the exports of certain goods with an aim to make the domestic production export-oriented and promote export to reduce growing imbalance of the country’s foreign trade. The revised working procedure has also made it easier for the exporters to get cash incentives, according to government officials. Exporters submitting necessary documents should be provided cash incentive within seven days of applying for such facility, according to the procedure. This provision was introduced amid widespread complaints from many exporters that they had to wait for months to receive cash incentive.